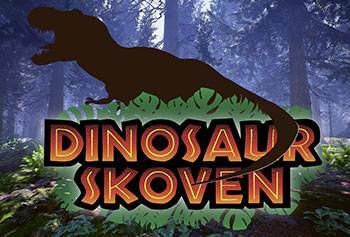 Bring the family along on a journey, more than 66 million years back in time, when you enter the forest of the dinosaurs, Dinosaurskoven, and greet the life-like and roaring dinosaurs like triceratops and t-rex! Here you will also meet their living relatives, the emus, and you can see genuine fossils and giant skeletons! 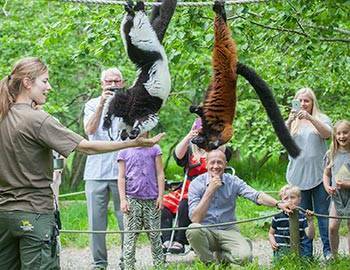 Experience tigers, rhinos, zebras and more than 1,000 other wild animals on your journey through Africa, Asia, Australia and three other continents in Knuthenborg, Northern Europe's largest safari park. 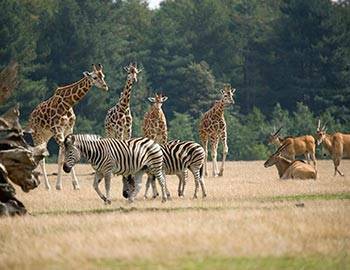 During your safari expedition you will meet around 70 animal species. You can come close to some of the animals, and you can safely experience the dangerous wild animals from your car. In Limpopoland you can fill your stomachs with the best burgers of Lolland or a couple of crisp churros. 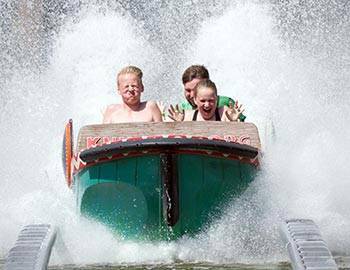 The steep water rollercoaster Congo Splash offers speed and water splashes, and the novelty of the year; the rollercoaster Kampala Express takes you along on a fun train ride for the whole family. In Limpopoland you can also take a swing, like a monkey, on Denmark's wildest water and nature playground! See you for a wild experience!